The other day, we took a friend for drinks and appetizers at a restaurant called Stephanie’s on Newbury Street in Boston. In the middle of taking our order, our waitress said, "Excuse me," and dashed away to retrieve an empty glass of water from a patron. We sat there in disbelief and I said, "Did that really happen?" I was tempted to make a comment when she returned but didn’t for fear of retribution. I compare this to my recent experience at the Capital Grill in Providence, Rhode Island. Our waiter was attentive and made us feel like we were the only customers in the room. You can guess which restaurant I will be dining at again. There are a ton of restaurants on Newbury Street, as well as in Providence. I’m guessing your business has competitors as well. Do you even have a clue of the impact your employees have on your business? All you have to do is walk down a busy street and see that some stores are packed with people, while others are empty. Restaurants have groups of people waiting, while tables at the restaurant next door remain empty. The differentiating factor in every case, are the employees. Here are some things to think about when staffing your organization. Resist the temptation to buy employees on sale. I’ve seen this time and time again. Employers will do whatever they can to pay as little as possible. Yes, you may fill a position, but will the person who accepts the job be motivated to take care of your customers the way you’d like them to be treated? Pay people what they’re worth. The extra money you invest will pay off in the end. Hiring "overqualified" people is OK. It seems like I have conversations daily with mature workers who are having a difficult time getting hired. These are responsible people with a strong work effort. Companies are overlooking them. Make it a point to seek out people who have the experience to handle your best customer, as well as your most challenging client. Train your employees on an ongoing basis. Why is it that most training happens during the first week of employment and nothing after that? There’s a lot to learn when you are a new employee. I always recommend to my clients that they spread employee training out over several weeks or months, depending on the position. By doing so, you'll give employees an opportunity to take what they’ve learned and apply it to their situation, before trying to take in new information. 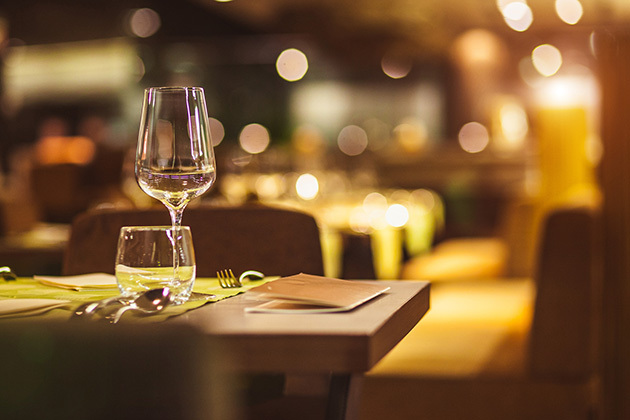 There is a reason some of the most excellent restaurants are considered fine-dining or that clients are willing to wait a few days to work with a particular organization. These businesses have great reputations, which wouldn’t happen if they didn’t have good management. Hire the best managers you can, even if that means passing over a mediocre employee, who thinks the job should be hers.